The holiday season is upon us! It starts with festivities as early as Halloween then the serious preparations begin with Thanksgiving meals, friends and family, house to house; moving on to December when schools go on vacation and we look forward to a longer celebratory time with Hanukkah and Christmas, finally wrapping it up with New Year’s Eve and New Year’s day. With an additional load on the household, it is best to take a few precautions during the holiday season. With these simple plumbing tips, we can help keep the holidays a time for rejoicing and not plunging! 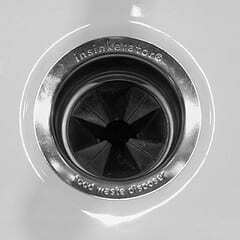 Garbage disposal – Take the time to run the garbage disposal ahead of time to make sure that it is clear before disposing of more food. Run hot water for about 15 seconds before and after use. Once clear avoid depositing stringy, fibrous or very tough materials down the disposal; for example; potato peels, pumpkin pulp, celery. Instead, set up a waste basket for excess food in easy reach for children to scrape their plates, then simply take the trash out after dinner. You will be glad you did. 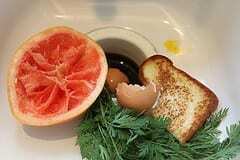 Do not pour oils and fats down the drain. Wipe the pans with a paper towel and throw it in the trash. Keep the hot grease safely out of reach from guests and children. Treat all of your drains with this environmentally friendly mixture: One cup of salt, one cup of baking soda and ¼ cup cream of tartar. Pour the mixture down each of your drains and follow with two cups of boiling water. When guests bring “six packs” of soda or beer, please cut through the plastic rings so that wildlife do not get caught in them once the trash is out. With a house full of overnight guests, spread showers out as best you can. Wait at least ten minutes between showers so that the drains have time to clear. Test your water faucet temperature with a thermometer that it does not exceed 120*, if it does exceed 120* at the faucet, guests are at risk for scalding and the water heater temperature needs to be turned down. Check shower pressure before guests arrive. If it is weak pour a cup of vinegar into a plastic bag, place it over the shower head, and soak. Use a twist tie to hold it in place overnight. In the morning, remove the bag and use an old toothbrush to gently scrub off the mineral deposits to help restore water flow. Consider using a humidifier. This will add moisture to the house and make you and your guests more comfortable. 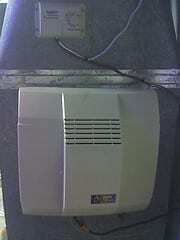 Humidifiers reduce static electricity and prevent dry noses. The moisture in the air will make the air feel warmer and also save on heating costs. Run appliances that generate heat at night. During the holiday’s many people tend to run their ovens or extra loads of laundry in the middle of the day. Run these appliances at night when possible. Remember that Tiger Plumbing, Heating & Air Conditioning Services has true 24-hour service and we are available day and night, including throughout the holidays, to resolve any mishaps that might occur when you have guests over. Schedule an appointment today by calling 1-866-TIGER70 or visiting us online at www.TrustTiger.com!